We are a family run company specialising in security for your home and business. 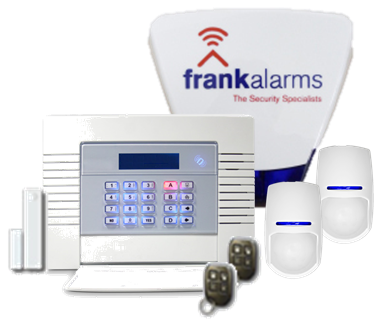 We supply and install a wide range of Alarm Systems, CCTV and Fire Alarms, and can repair or upgrade your existing security systems. Our knowledgeable and friendly team are regularly praised for their efficient and friendly customer service - please give us a call and let us know how we can help you. 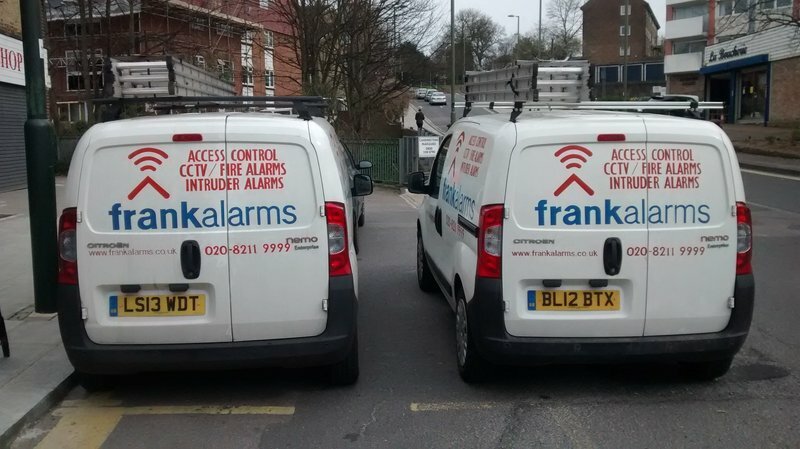 I called Frank Alarms on Monday morning to enquire about having an alarm fitted. A member of their team came round the next day to see what we needed. They were very friendly and detailed in their assessment of what we might require without being pushy. 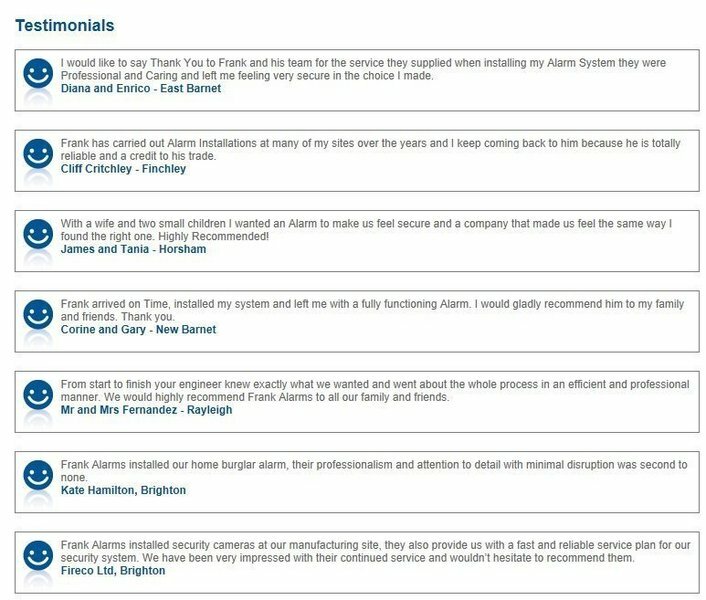 Two days later we had a fully fitted alarm system that is both easy to use and effective. I found them very easy to deal with and I wouldn't hesitate to recommend them to my friends and family. The price was also the best that I could find. Two issues in the space of a couple of years, and saved both times in situations that seemed like we were doomed.With the most recent problem, which was also solved in the most effortless way, which is what you really want. As my job mainly deals with reactive issues, these are the companies you want,,,top class. 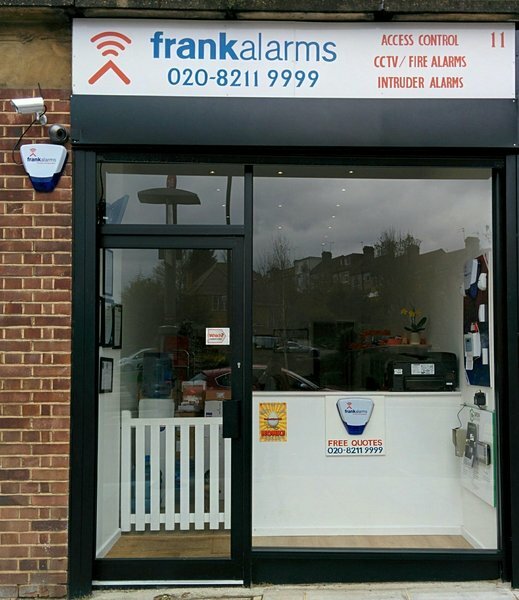 Frank Alarms did a fine job of supplying and installing an alarm for me in December 2015. At the beginning of November 2016 they sent me an invoice for a service which had not been done and for which no contract existed. I didn't pay it. I have had 4 further demands for payment in which they implied that a contract existed between us. These demands made threats about my insurance. I would be wary of any company which issues invoices and demands for payment without having done any work. Very helpful and friendly local team, arrived on time and very helpful. 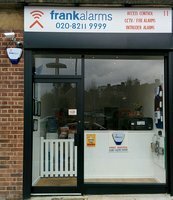 We have been using Frank Alarm for 15 years now. 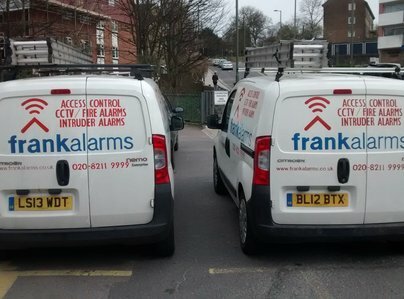 We had a burglary last week and an engineer came on site to read the logs of the alarm which showed that it was faulty and therefore did not register the intruder but did register a false alarm.So the police was not contacted. We had the alarm serviced the previous week. The engineer did not report any faults at all, he just advised to change the battery which was a few years old and so we did. So this is not satisfactory and we did not even receive any apologies from the company.